SHRMA is a Salem, Oregon based affiliate of the National Society for Human Resource Management (SHRM) and is fortunate to be part of the area that the Northwest Human Resources Association (NHRMA) provides professional development opportunities to. 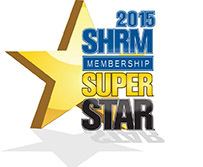 SHRM is the world's largest association devoted to human resource management. Representing more than 250,000 individual members in over 140 countries, the Society serves the needs of HR professionals by providing the most essential and comprehensive set of resources available. As an influential voice, SHRM is committed to advancing the human resource profession to ensure that HR is an essential and effective partner in developing and executing organizational strategy. Founded in 1948, SHRM currently has more than 575 affiliated chapters within the United States and subsidiary offices in China and India. The Northwest Human Resource Management Association, or NHRMA, provides professional development opportunities for HR professionals and students in the states of Alaska, Oregon and Washington who are members in good standing with SHRM. NHRMA is an affiliate of the Society for Human Resource Management (SHRM).